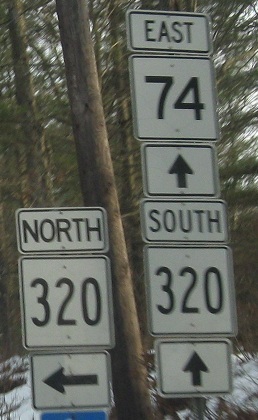 Except the second one faces north. 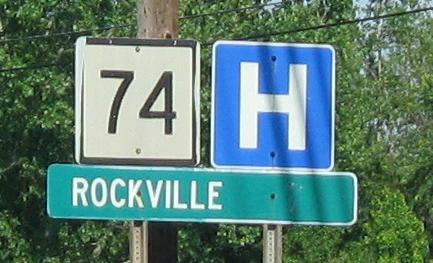 First you enter Rockville on CT 74. 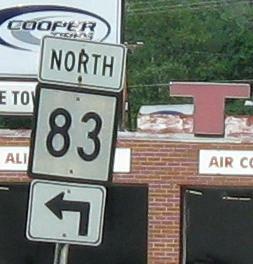 Then you enter Rockville with CT 83. 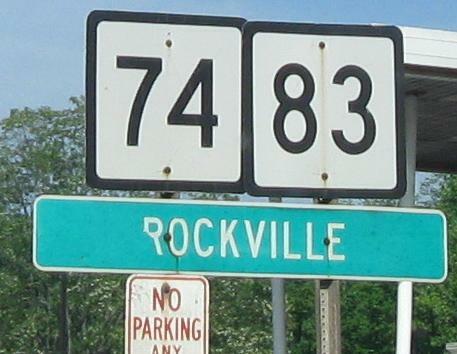 Then 83 leaves and Rockville is still straight ahead? 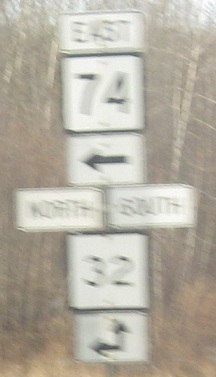 The first photo is actually a distance sign with a faded numeral. 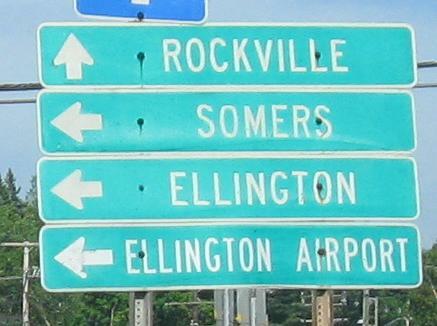 The second photo is legitimately entering the limits of the village of Rockville, and by the last photo what's left straight ahead is the center of the village. 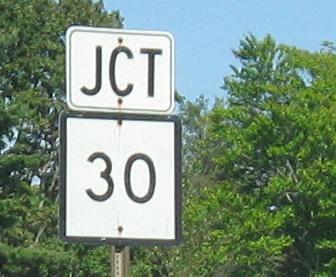 If CT 32 SB was straight ahead where I turned left, how is it still to the right? 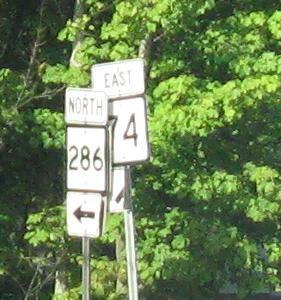 Answer: Straight ahead the first time was Phelps Way, cutting off the south corner of the intersection. 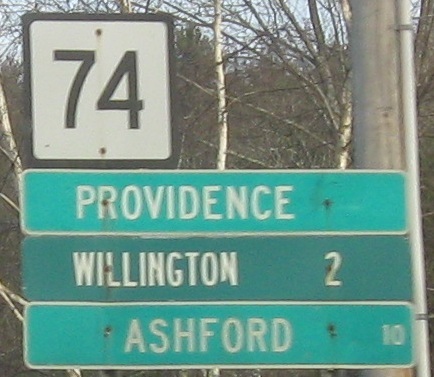 The Providence destination dates to when CT 74 east of I-84 was a former routing of US 44, which used 84 from Exit 69 all the way into Hartford. 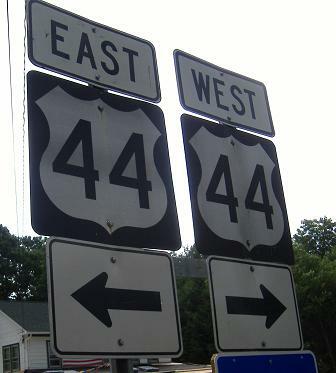 74 started out where it is now, then disappeared when 44 switched west of their current junction for awhile, then reappeared when 44 was moved back onto what had been numbered Alt. 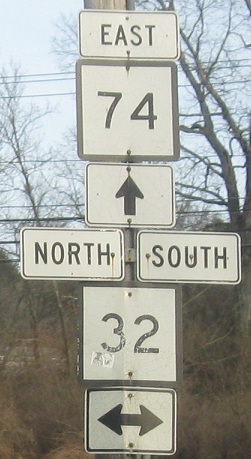 US 44 in the interim. 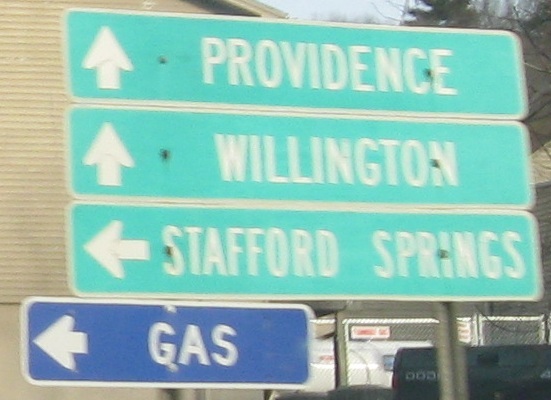 This was done back when US highways were immediately routed onto new Interstate freeways as each segment opened. Old shields good. New shields bad. 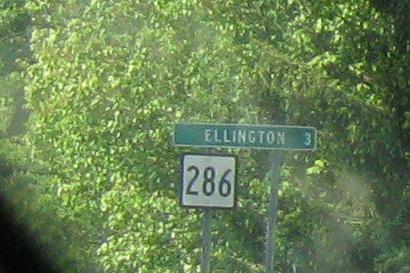 Not CT border. Ug.